Food security is a life and death issue for people living on the Frontera of Southern Intibucá, Honduras. Climate change has worsened this reality, and our area, now known as the Dry Corridor, has experienced yearly droughts. Crops die, and as a consequence people can neither put food on their table or generate income. This produces higher morbidity and mortality rates. Those most vulnerable to the terrible consequences of nutrition deficiencies are children. We partnered with the Mathile Institute for the Advancement of Human Nutrition in 2008 to research and combat malnutrition. We have successfully completed three phases of intervention and research by way of MANI (Mejorando Alimentación de los Niño de Intibucá). The program’s goal is to provide to at-risk children a corn and soy based nutritional supplement called Chispuditos that contains 21 vitamins and minerals. We have presently entered into a fourth phase of partnership toward the goal of erradicating under-nutrition and malnutrition in the seven municipalities of San Marcos de la Sierra, Concepción, Camasca, Colomoncagua, Santa Lucia, Magdalena, and San Antonio. In March 2016 we completed an extensive census among families in our newest coverage area of Colomoncagua. This placed us on firm ground to begin implementation of MANI IV. MANI IV will target 2800 children in over 100 communities between the ages of six months and six years, providing them with the nutrition supplement Chispuditos. Tracking, testing, measurements, data collection, and analysis will be completed to discern the effectiveness of the intervention. This phase will be complete in August 2017. The results will lay the groundwork for a sustained initiative. Mathile and Shoulder to Shoulder are firmly invested in giving children the basic nutrition for their health and well-being. The world should not tolerate a circumstance where children are hungry. The multinational Salud Mesoamérica 2015 is a public-private partnership consisting of the Bill and Melinda Gates Foundation, the Carlos Slim Institute for Health, the Inter-American Development Bank, and the Spanish Development Agency to reduce the health equality gaps in the Central American region, focusing on the poorest 20% of the population. Mesoamérica is working in 10 countries with a focus on nutrition, maternal and child health, and better integration of levels of care. The Nutrition arm of the Project is conducting six nutritional research pilots in Honduras before it scales up its multinational efforts. The Project has partnered with Shoulder to Shoulder to conduct an initial nutritional pilot program in nine Intibucá communities. Should at least two-thirds of the pilot programs be succesful, we will scale up the project and maintain it for at least four years. Helping Babies Breathe is a neonatal resuscitation curriculum for resource-limited circumstances. It was developed on the premise that assessment at birth and simple newborn care are things that every baby deserves. 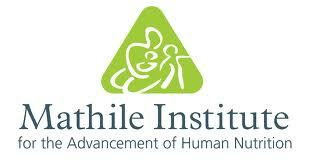 The goal of the program is to ensure that all babies are born with a skilled birth attendant present. An on-site instructor trains and monitors all of our doctors and nurses on neonatal resuscitation practices. The instructor also attends each clinic birth, taking video and recording data to ensure best practices and for future research publication. We are working to expand the program to the greater Intibucá area. If you, your organization or institution are interested in a research partnership with Shoulder to Shoulder and Hombro a Hombro, please contact us.